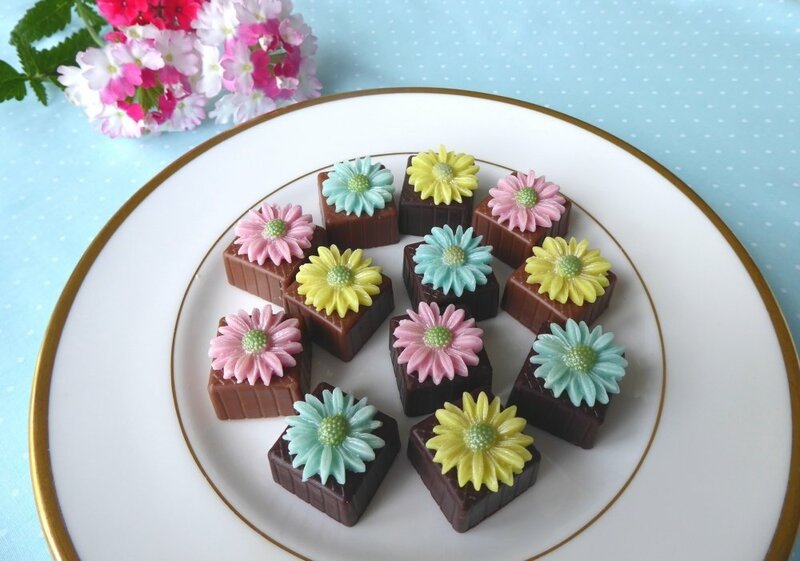 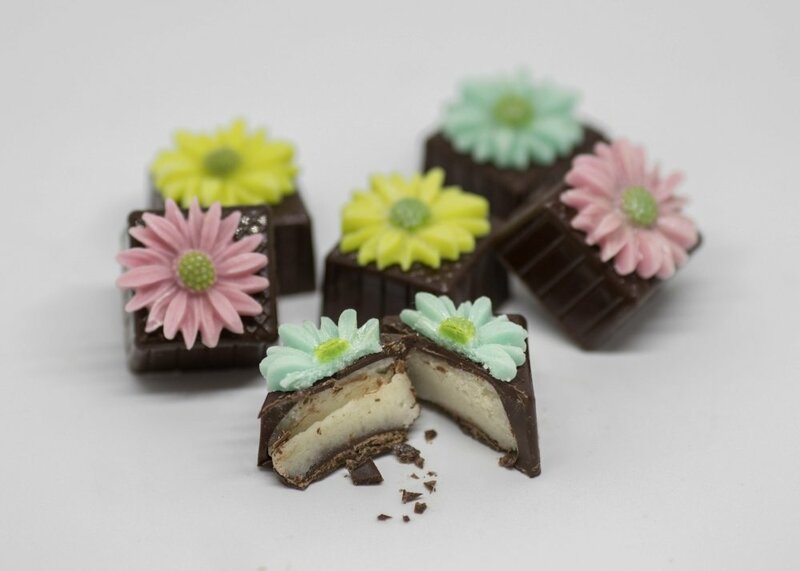 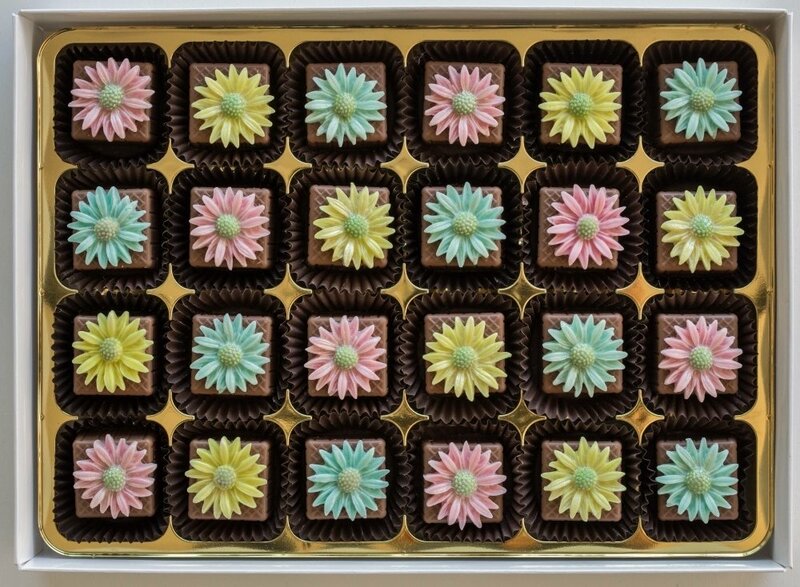 Pretty pastel daisies handmade from marzipan decorate marzipan filled chocolates. 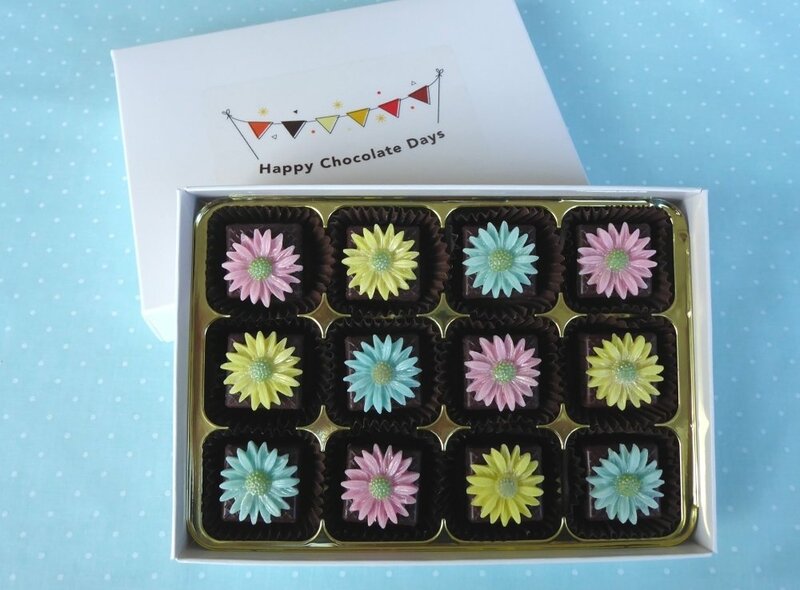 A perfect birthday or get well gift perhaps? 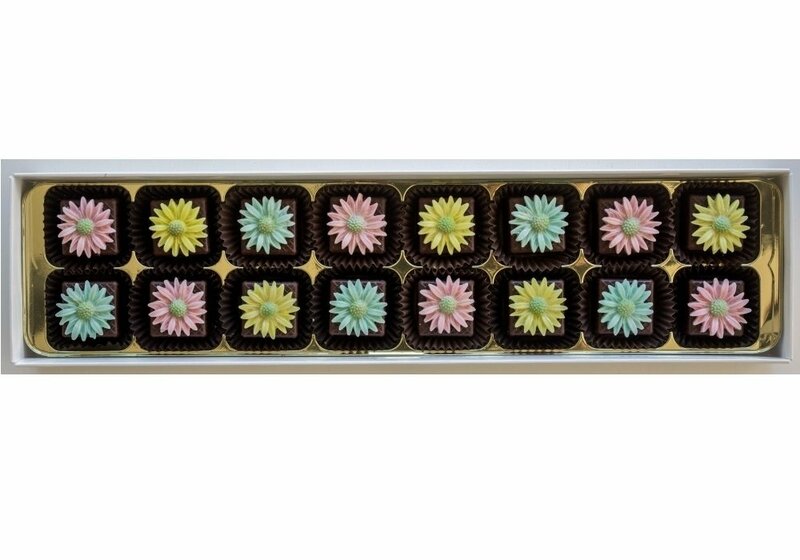 With options to personalise by adding your own message on the chocolates, not just the box.